HERE WE GO: Tonight marks the seventh of 12 meetings with the Gulls this season, and the third of San Diego’s six scheduled visits to Tucson Arena. 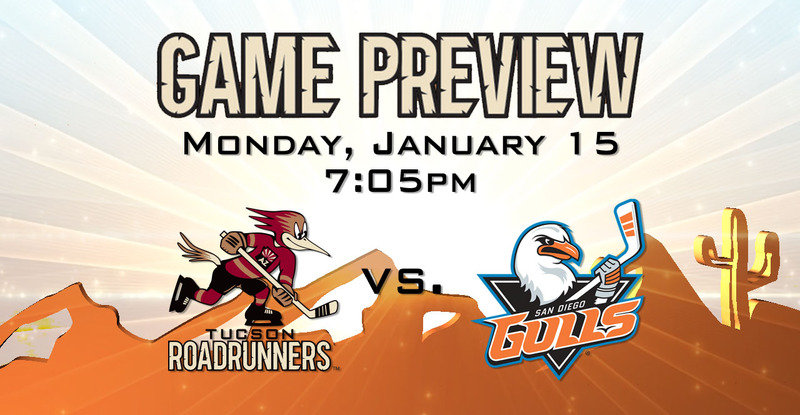 The Roadrunners are playing the first of a two-game home stand. The Gulls are playing the first of a two-game road trip. The teams are coming off of a meeting Saturday night in which the Roadrunners won by a 4-2 score. "Divisional games are huge points, so we're going to need a big-time effort tonight." HE’S A NIGHTMARE: Dylan Strome has served as an absolute nuisance to the Gulls this season, registering 10 points (5G, 5A) in four games played against San Diego – including Saturday night’s three point (2G, 1A) performance. Can Strome continue to put up points against the Gulls in tonight’s meeting? TROUBLES AT HOME: While continuing to benefit from solid results on the road, the Roadrunners have had their fair share of struggles on home ice. Dating back to November 25, they’ve only won two games at Tucson Arena – a span of nine games that’s seen them post a 2-7-0-0 mark as hosts. The Roadrunners defeated the Gulls for the first-ever time on home ice in San Diego’s last visit on November 22 by a 5-0 score. Prior to that, the Gulls had been victorious in all seven of their games played in Tucson. FITTING RIGHT IN: Laurent Dauphin returned to the Roadrunners lineup Friday night, and in his two games back with the club since being reacquired in a trade on Wednesday, he’s registered three points (1G, 2A) – including the game-tying goal Saturday night. TAKING AWAY POWER: San Diego enters the night with AHL’s top power play unit, chiming in with a 26.7% conversion rate (44-for-165). The Roadrunners were able to keep the Gulls’ power play silent on seven opportunities Saturday night, and have killed off 16-of-17 penalties taken against San Diego in the teams’ last three meetings – all wins. 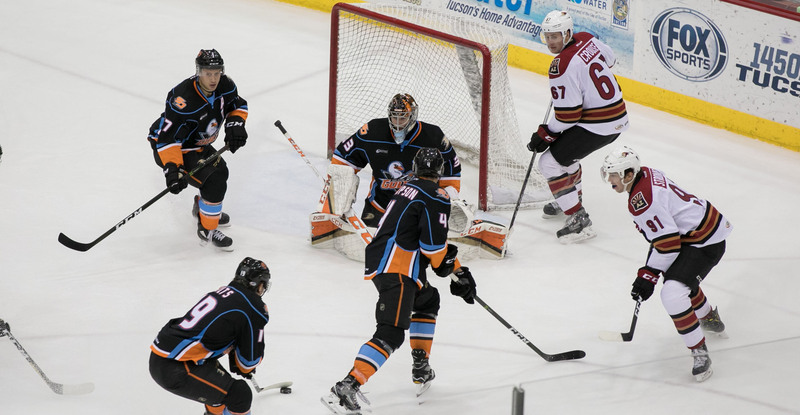 THE LAST TIME AROUND: In the teams’ previous meeting Saturday night at the Valley View Casino Center in San Diego, the Roadrunners defeated the Gulls by a 4-2 score. Dylan Strome scored twice, while Laurent Dauphin and Michael Bunting provided the other two Roadrunners goals. Adin Hill stopped 31 of the 33 shots he faced in the win. I-8 BORDER TROPHY: With a 3-2-0-1 record against the Gulls through six games, the Roadrunners currently lead in the race for the I-8 Border Trophy – which was introduced prior to the season. Based on total points earned in the 12 regular season match-ups between the two clubs, the Roadrunners are ahead by a 7-6 count.